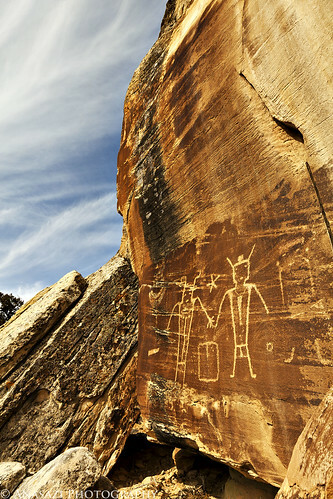 There are many spectacular petroglyphs located at the McConkie Ranch in Dry Fork, but this one really seemed to stand out to me as we hiked past it on our way to visit the Three Kings. On our way back, the sky had cleared up just enough to show some blue and I took a few photos of it that I think turned out well. This is probably my favorite of the bunch.